Lock in a great price for Hotel Los Jazmines – rated 8.3 by recent guests! Good location (15 min walking from the train station). The room we stayed had a beautiful view of the sea/beach. Clean room, good shower. The price was very reasonable. The location is great, a few steps from the beach. 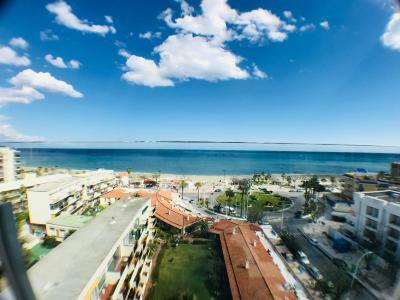 Very clean rooms in perfect location, less than just 200 meters from a beautiful beach! Close to a supermarket (5 min) and many places to eat out or do some small shopping around. 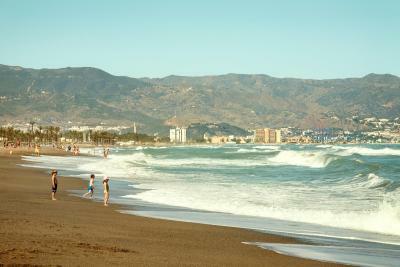 15 minutes walk from the Torremolinos city center and metro station. Room has working AC and a small refrigerator + comfortable beds. We had a late flight out, but the staff let us check out a bit later (12 pm -> 2 pm) and let us use the shower room (which had clean towels and shower gel) long after checkout. Lovely hotel, roof top bar was great, great location. Great location to beach and a good value for your money with many room options. Very good breakfast. Lovely room with sea view balcony. Extremely well informed reception staff. Quick lift. Very clean. The area is very beautiful. Due to availability of rooms, I got a better room (with see view and a balcony) than what I paid for. The beach nearby is clean. Accessibility to the old city is also good. However, the hotel is in a lower position, so one needs to walk uphill to reach the city center. Excellent location. Friendly staff. Good price. Excellent 2 bedroom apartment for family with kids. 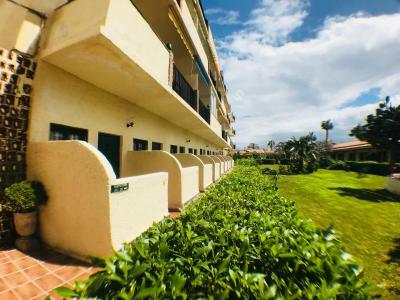 Hotel Los Jazmines This rating is a reflection of how the property compares to the industry standard when it comes to price, facilities and services available. It's based on a self-evaluation by the property. Use this rating to help choose your stay! 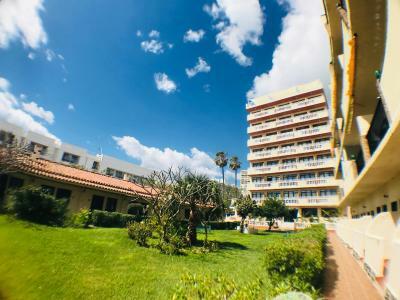 One of our top picks in Torremolinos.Los Jazmines offers attractive accommodations in a seafront setting, on the Torremolinos’ Playamar Beach. This complex features an outdoor swimming pool and a children`s pool, restaurant and rooftop bar. Free WiFi is available in public areas. The Jazmines’ rooms and apartments are brightly decorated and air conditioned. Each offers views of either the hotel gardens, or of the Mediterranean Sea. They all include a TV and a private bathroom. A safe is available for a surcharge. 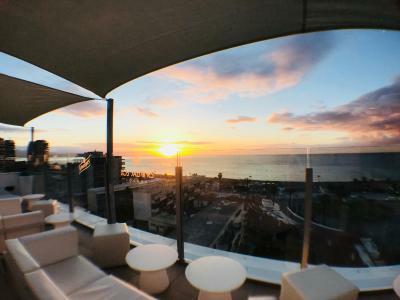 Guests can enjoy stunning views and cocktails in the Los Jazmines Lounge, the hotel's rooftop bar. The buffet restaurant serves breakfast and dinner, offering a selection of Mediterranean and European cuisine. The hotel is a 10-minute walk from the shops on San Miguel Street. Málaga Pablo Ruiz Picasso Airport is just 7.5 mi away. When would you like to stay at Hotel Los Jazmines? 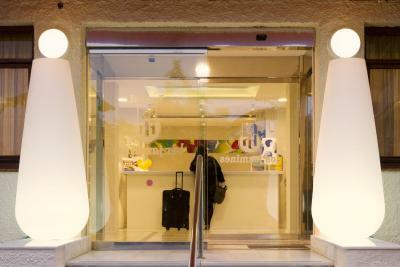 This air-conditioned room is located on the ground floor, next to the pool and the garden areas. It includes a mini-bar, and the private bathroom comes with a hairdryer. A safe is available for an additional cost. Featuring a terrace with sea views, this room has air conditioning, a TV and a private bathroom. This bright, air-conditioned apartment features a private terrace with lateral sea views. It has 2 bedrooms and a lounge with a TV. The kitchen features kitchenware, ceramic hob, fridge and coffe maker. A toaster and a kettle is available free of charge on request and subject to availability. Located on the ground floor, next to the swimming pool and garden areas, this air-conditioned double room includes a mini-bar and hairdryer. A safe is available for an additional charge. 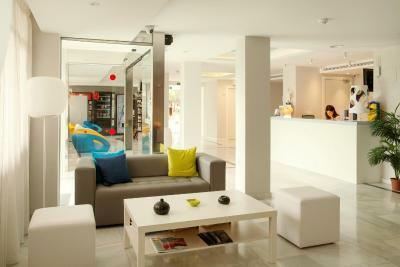 Located on the ground floor, next to the pool and the garden areas, this air-conditioned room features a terrace. It includes a mini-bar, and the private bathroom comes with a hairdryer. House Rules Hotel Los Jazmines takes special requests – add in the next step! Hotel Los Jazmines accepts these cards and reserves the right to temporarily hold an amount prior to arrival. Noise from plumming above as toilets were flushed. 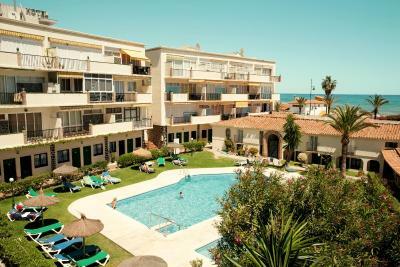 Perfect location, close to everything, the apartment was spotless, we had a baby with us and we were provided a cot. We had a beautiful balcony with a sea view which was lovely to wake up to every morning. Lovely hotel basic but reasonably priced would definitely go back. Only dislike was we found the breakfast a little disappointing, the tea and coffee wasn't very nice and the cooked bits seemed a little stodgy. The breakfast area was clean and service was nice, but no windows since it's in the basement so we didn't stay down there too long. Luckily though, there were other drink options, and a large amount of food choices! So all in all, not bad! Other thing to mention, the safe in our room wasn't working which was a little annoying. We loved the location right on the beach and near the shops. Other reviews said it was noisy at night but we found it nice. Reception staff were incredibly friendly and helpful - even letting us check in 3 hours early since our room was already cleaned! A nice touch! Staff booked our taxi to airport and answered all our questions. Twin room with sea view was clean, pretty and good sized bathroom, comfy beds and nice sized terrace. Rooftbar bar for drinks had great view for drinks and nibbles. A great end to the day! There was no elevator (lift) in this old building of Jazmine Hotel to reach our room No.21 on top floor. We had to hand carry 2 x 22 kg suitcases & small bags climbing 58 open air wooden stairs to reach to the top floor. Not to mention on daily basis going up and down these 58 stairs. Full English buffet breakfast daily had over fried hard eggs, dried scrambled eggs, hard crispy bacon because food was cooked & left on hot plates for a long time. Value for money. Spacious and well furnished accommodation with balcony. 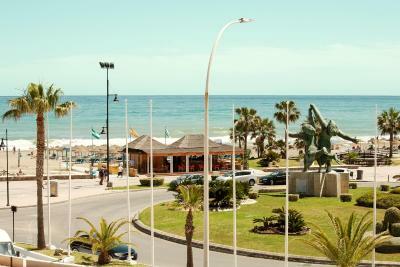 Good area for shops/restaurants/takeaway/Irish pub and easy access to beach/beachfront. Good size pool for children After checkout at 12 noon there are facilities available for left luggage, shower & toilet if your flight is late in the evening. Loved everything about hotel los jazmines...staff are lovely and friendly and so was the guests, great location, great value and very clean n spacious rooms with great views. I highly recommend this hotel. Perfect little room. Literraly next to the beautiful garden and pool. Everything was so nice and it was exactly opposite of the beach .